Karpas is the most isolated area in North Cyprus. It offers natural beauty and best place for birth watching and beaches. History has washed over this peninsula down the millennia as a constant stream of conquerors has left its footprint. Today, there are many indications of its past occupants for history buffs interested in further exploration. Bronze Age tombs are scattered around the area and inland from Agios Theresa lie some intriguing unfinished stone statues. It’s now hard to visualise how heavily this area was populated during Hellenistic and Roman times but reminders are still scattered around. Take the north coast road from Dipkarpas to the ruin of Agios Philon where the once important ancient city of Carpasia is located. A few kilometres further along lie remains of the second century BC Aphendrika. There are many early Christian and later Byzantine church ruins in this vicinity also, especially the Basilica of Ayia Trias at Sipahi near Yenierenkoy with a mosaic of a pair of sandals. The ultimate pilgrimage for many is the Apostolos Andreas Monastery (St Andrew) almost at the tip, often referred to as the Lourdes of Cyprus. The current church is more recent and is the subject of restoration plans but there is little left of the original. An onward trip to the very tip of the peninsula is feasible by car when the road reverts to stabilised track. 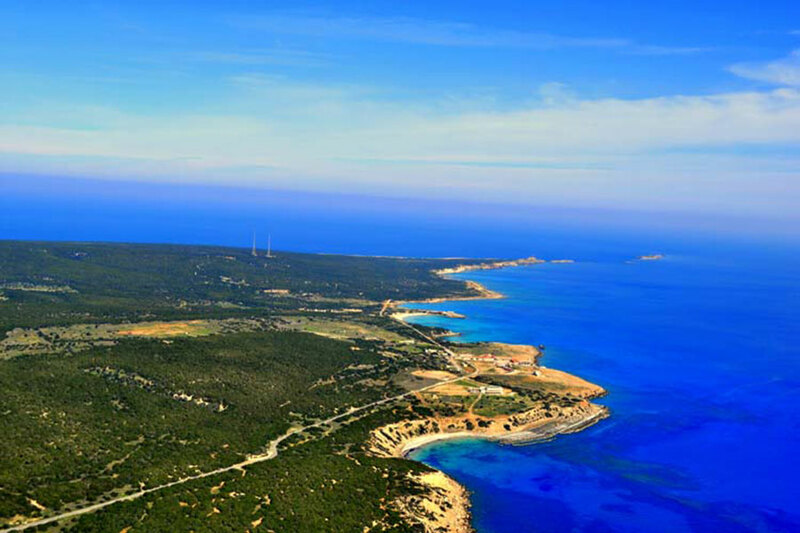 North Cyprus Sun Holidays offers great selection of hotels and accommodation in Karpas peninsula. Book your accommodation in Karpaz today.